The Champion Shotokan Karate Programs teach the philosophy of "walking away" from a confrontation whenever possible, but also arms our students with the skill to defend themselves when forced into a situation with no other option. Our program combines the best aspects of traditional Karate with sport Karate, creating a unique mix of techniques that can be used in practical self defense situations as well as competitive sparring. Shotokan is one of only four Japanese martial arts that are officially recognized as forms of Karate and is the most popular and widely spread type of Karate in the world. Our Shotokan program is divided into separate classes which are based on rank and skill level, allowing for each student to train in the program that best suits his or her needs. 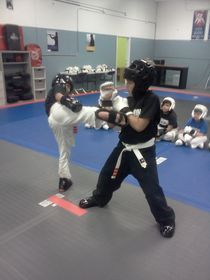 All classes focus on continual technique improvement and hones self defense skills with the ultimate goal of developing well rounded and versatile martial arts. Our curriculum is structured so a student will develop greater muscle tone, weight control and cardiovascular fitness, improved concentration, self-discipline, focus, stress reduction, and confidence. The Champion Shotokan Karate program is fun and challenges students to improve their natural strengths, including stamina, endurance, flexibility, balance, speed, power, and coordination. 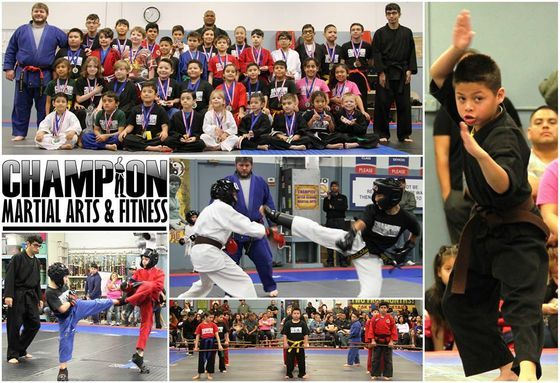 Champion also offers additional member benefits, including student recognition programs and the best overall belt ranking system around!